Light Baby Blue dupioni silk fabric tone-on-tone. Brand New High-end dupioni silk yardage. 45 inches wide. This color has been updated as of June 19, 2014 and is beautiful. 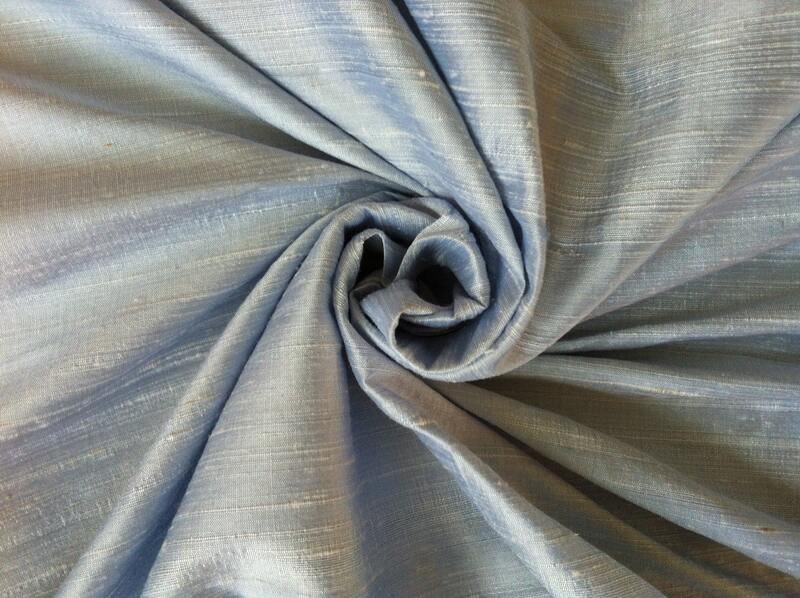 This is for one roll of of Ivory Light Baby Blue 100% Dupioni Silk Fabric with a minimum of 32 yards. Please Note: Our rolls vary from 32 to 35 yards and you will receive a minimum of 32 yards for the price.